Midwest Vision Care is proud to serve the surrounding communities in Miami County as your trusted eye doctors. We are the best choice for optometrists in Bradford, Ohio, let us prove it to you! We offer both comprehensive and medical eyecare, and provide extensive services beyond eye exams, such as: regular and specialty contact lens fitting and evaluation, treating eye infections, corneal abrasions and many more. We are equipped with the technology and tools to treat almost any eye-related concern, as well as offering same-day emergency medical services. Midwest Vision Care would love to be your eye doctor for your whole family for the residents of Bradford, and gift to you clearer sight and overall holistic eye health! 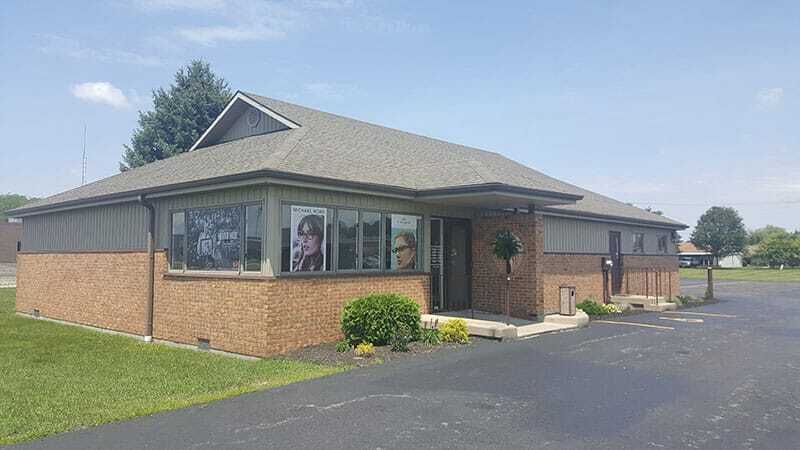 Sitting about 12 miles away from the Village of Bradford, our vision center will provide you with all of your comprehensive and medical eyecare needs. Dr. Dustin Gardner and Dr. Valerie Gardner have created a friendly and welcoming atmosphere for their patients as well as treating them to the wealth of their knowledge and the best care provided. Dr. Dustin’s extensive knowledge in specialty contact lens fitting and management as well as his medical eyecare expertise will leave you at peace with any ailment or concern you may have for your eyes. Dr. Valerie Gardner’s passion for pediatric vision and educating school-age children on the science of eyes and proper vision care lends to more comfort knowing that your children’s eyes are also in great care with us. Dr. Valerie can even be found speaking at local schools spreading this passion and knowledge! Our optometrists work vigorously to make sure you your sight is as crisp and clear as possible, as well as striving to treat almost any condition for the eyes. We truly care about you as our patient, and would love to be your Bradford optometrist! Call us today at (937) 773-4441 to get started on bettering your vision or making an appointment for a comprehensive eye exam for you or your child. We are looking forward to meeting you and your family and being your optometrists in the Bradford, Ohio area!